These chunky, warm and comfortable bags are made to the same exacting standards as the rest of the range. The cotton linings throughout the range will appeal to the traditionalist. Its temperature rating of -2°c for comfort and -7°c for extreme puts this firmly into the three season category and despite its insulation properties, it packs into a reasonable size. 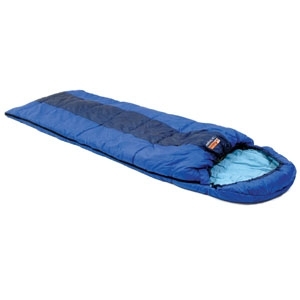 Similar to Snugpak's "The Sleeping Bag", it differs only in that it's a more traditional square foot design.